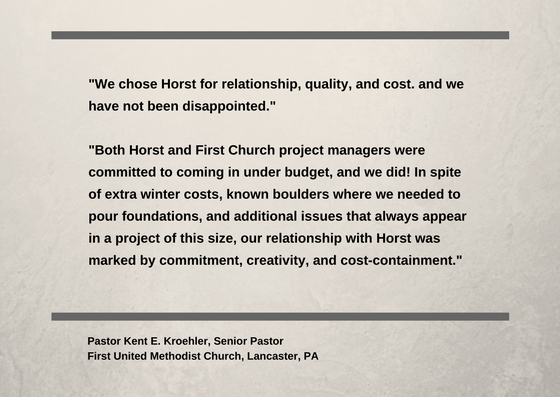 First United Methodist Church selected Horst Construction to build a 3-story Celebration Center. 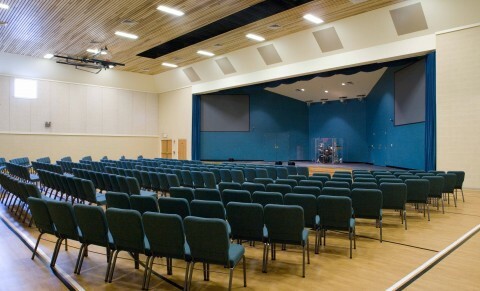 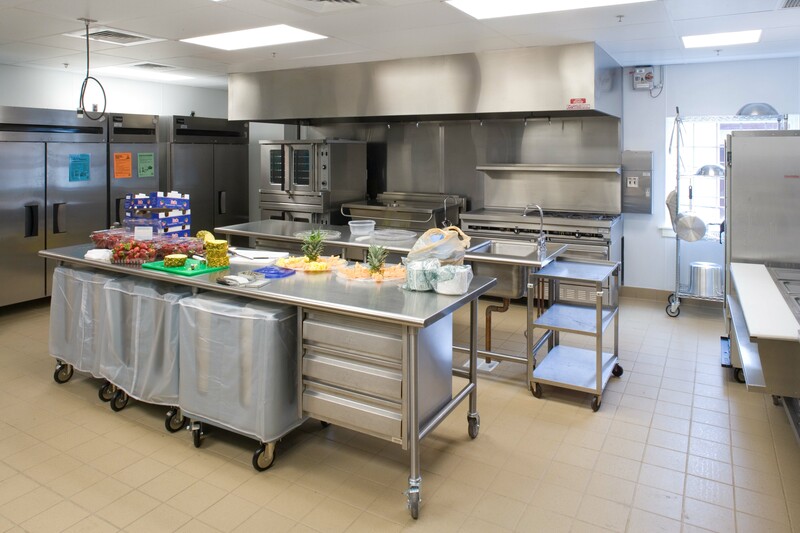 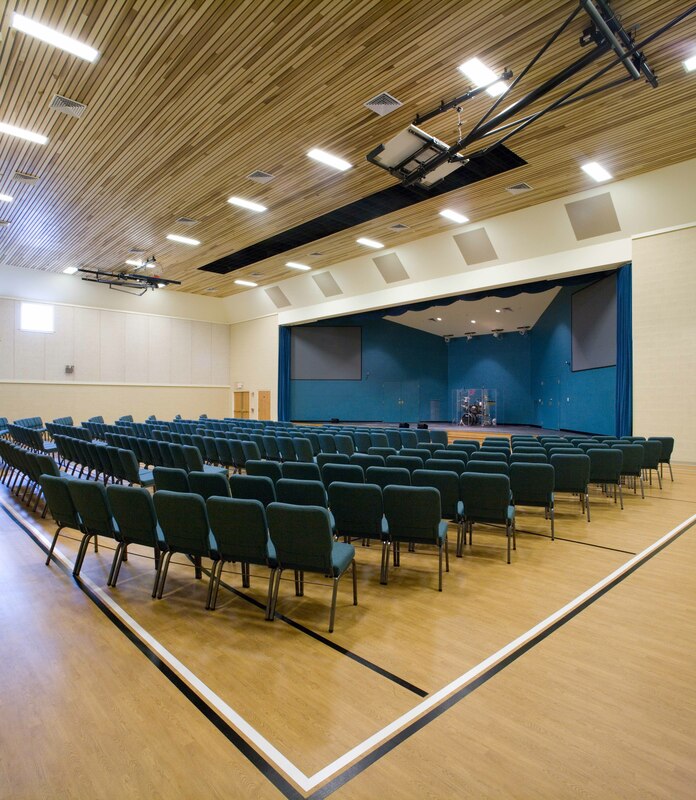 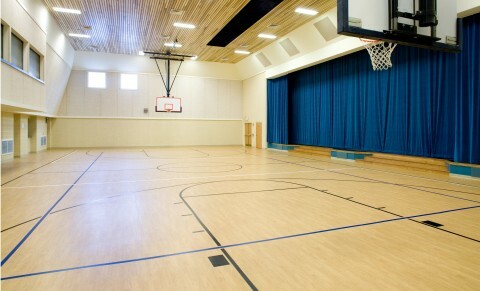 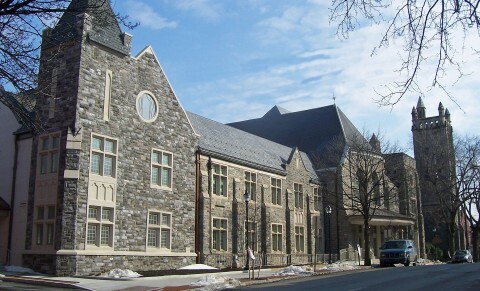 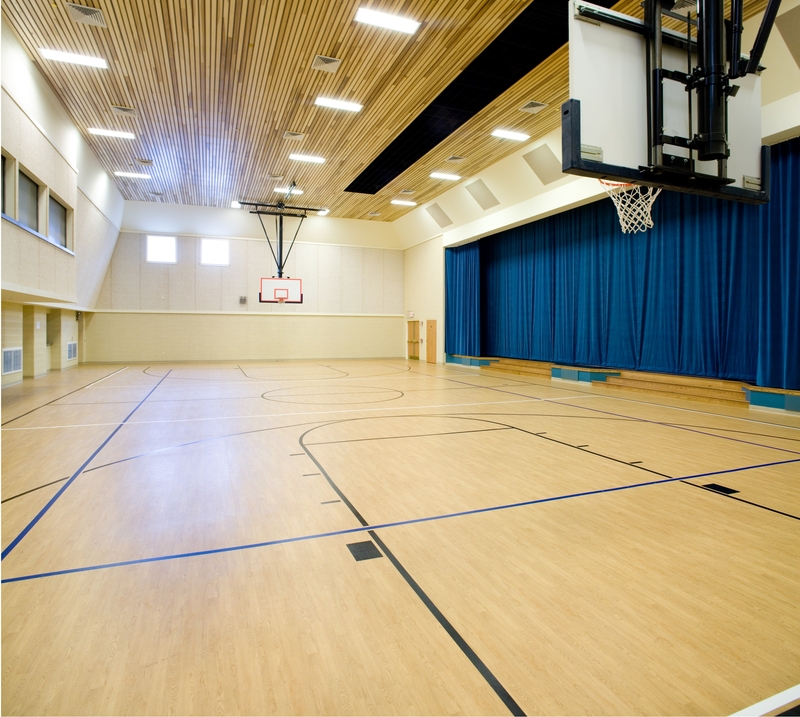 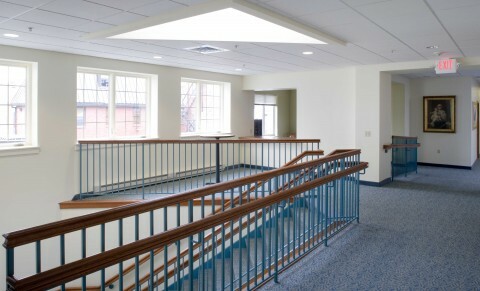 The addition was comprised of a multi-purpose room to accommodate a family life center, gymnasium, and worship space, as well as classrooms, a commercial kitchen, offices, and library. 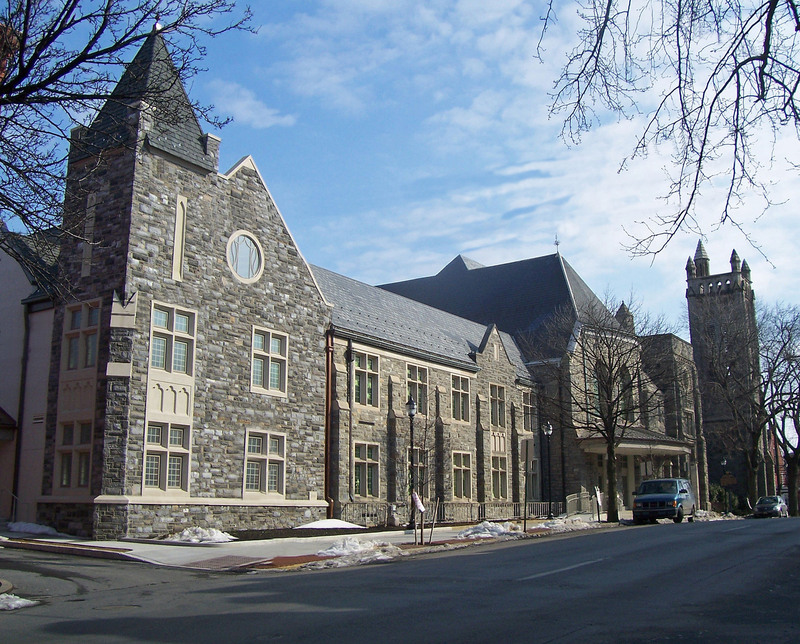 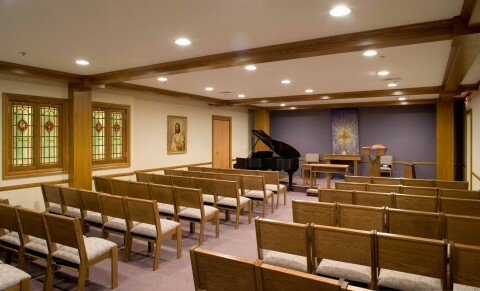 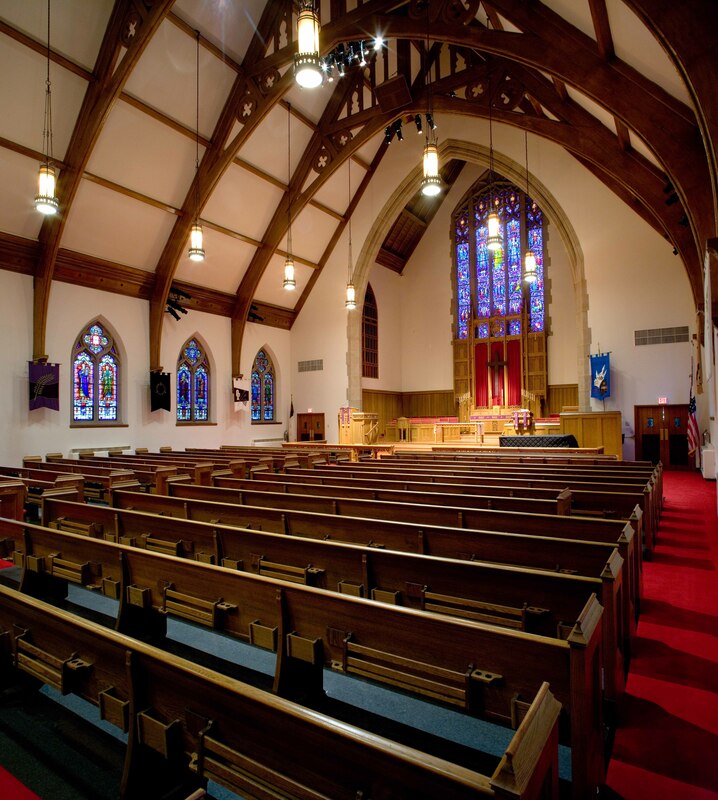 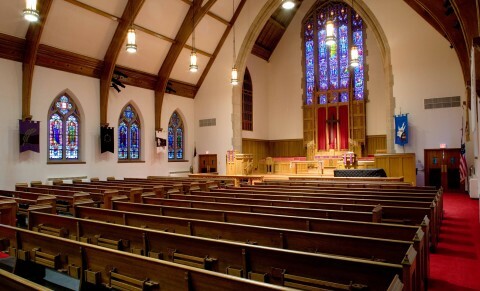 The project also included extensive renovation of the existing facility, which had experienced multiple additions since the church’s original constructed in 1893! 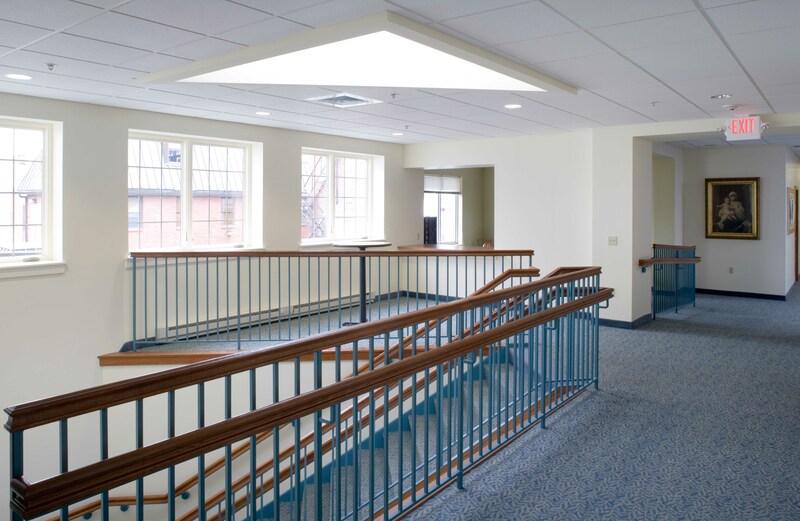 The project was challenging due to a very tight urban site and the need to keep the building and parking operational throughout construction. 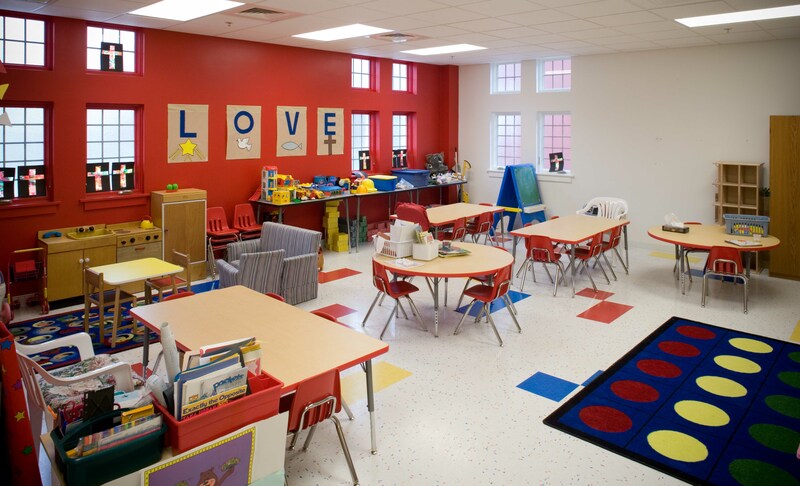 The church continued operations of the pre-school program and the church’s full activity schedule throughout the 16-month project. 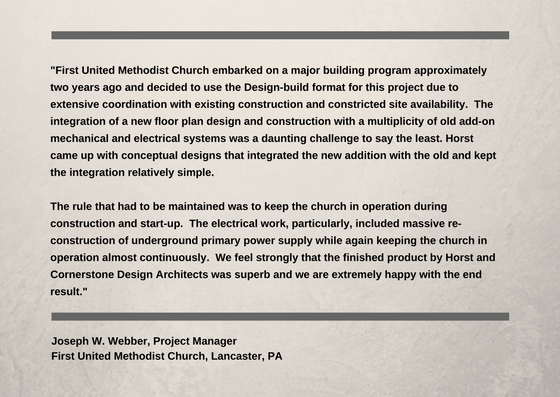 Horst has to re-construct the underground primary power supply while keeping the church in operation.